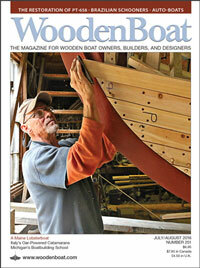 Q: What is the frequency of WoodenBoat? A: Bi-Monthly (6 issues per year). A: Simply cancel and receive a refund on all unserved issues. Q: Does my mailing label show my expiration issue? A: Yes, it will show the last issue to be mailed: (like) May/June 2017. A: Find your account number here. Q: DIGITAL: Is a digital issue free with your print subscription? A: No, there is a fee to add digital to your print order. Q: DIGITAL: Can I add digital to my print subscription? A: Yes, you can add digital. The fee to add digital is $10.00 for 1 year (6 issues), payment depends on the number of issues left on your subscription. Use this form to add digital to your print subscription. Q: DIGITAL: Can I switch from print to digital? Q: DIGITAL: Can I download a digital issue as a PDF? A: Yes, when you are logged into the digital issue select the tool that looks like a wrench in the upper right of the menu bar. In the pop-up you will see a choice to download. Q: DIGITAL: Can I cancel my digital subscription? A: Yes, you can cancel at any time and a refund will be sent for the issues not served. Q: DIGITAL: Are digital back issues available? A: Yes. Once you are logged into an issue in the top menu bar on the right side you will see an icon that looks like a folder, select that to see back issues. Q: DIGITAL: Is the digital version available from iTunes? A: Yes, a digital issue is available from iTunes as a single or yearly subscription. Q: DIGITAL: When my login does not work after several tries, what should I do? A: Completely turn off your PC or your hand held device. This will clear out all the history for the several times you have tried to login. Q: My login will not work! 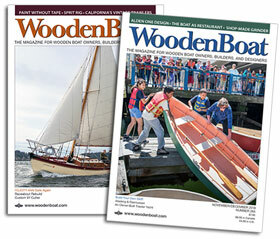 WoodenBoat.com login is one system to post your launching, post a boat plan or kit, to register your wooden boat. The WoodenBoat Forum also is a different system with its’ own login.